In stock for immediate despatch! MORE THAN JUST A SATELLITE RECEIVER - XBMC - STREAM TO MOBILE DEVICE! 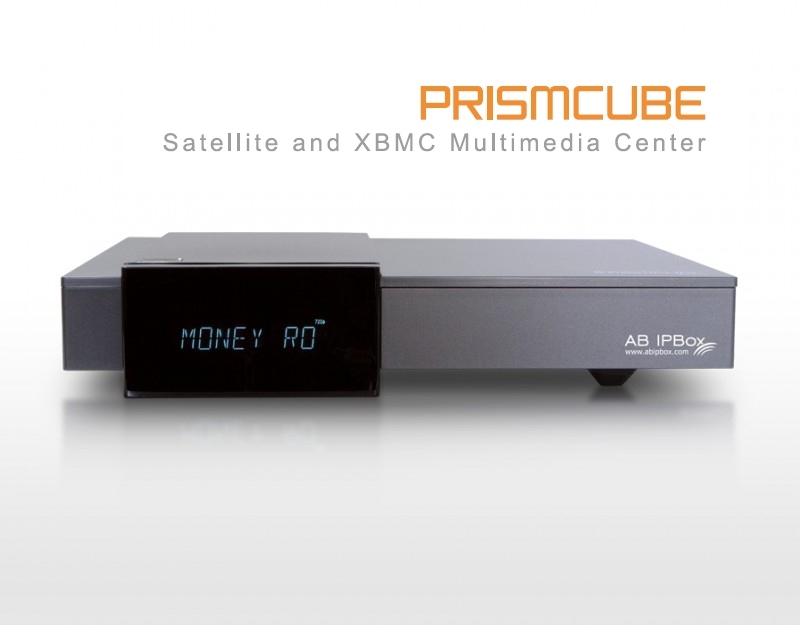 The AB IPBox Prismcube Ruby is a unique HD satellite receiver, which brings you not only excellent satellite features but also plenty of advanced multimedia functions. Your photos, movies, shows, music or Youtube/Vimeo online stream – it is just the beginning of what the device can offer. Do you dare to try it? AB IPBox Prismcube Ruby is truly the worlds first set top box that integrates both DVB-S2 Twin PVR and Media player seamlessly, using XBMC. AB IPBox Prismcube Ruby is a DVB-S2 twin-tuner set top box with a very compact and slim design. With the solid and cutting-edge technology that MARUSYS has mastered over the last decades in embedded Linux systems, it is designed to be a highly advanced HD Twin PVR. AB IPBox Prismcube Ruby is a media player based on XBMC which is free and open source. XBMC is a media center interface or entertainment hub for digital media and is supported by various groups of independent volunteers from all over the world. AB IPBox Prismcube Ruby in conjunction with XBMC provides a wealth of rich entertainment choices covering all media types. The device is able to stream live TV, recordings or other multimedia content to an external device (smartphone, tablet, PC). Moreover, users can remote control the receiver via a mobile device (Android or iOS). Just simply list the library of movies stored in your AB IPBox Prismcube Ruby, read the descriptions, send the command and the video will be immediately displayed on your TV screen. The same function can be used also for streaming of Youtube videos. Find desired Youtube video on your smartphone, send the command and play it through the AB IPBox Prismcube Ruby on your TV. The receiver supports very simple installation of internal 2,5“ HDD or SSD discs. It enables recording of live satellite programs, playback multimedia files stored on the disc or utilize the TimeShift function. The AB IPBox Prismcube Ruby also supports communication via plenty of network protocols (NFS, SMB/SAMBA/CIFS, UPnP, FTP Client, SFTP Client, HTTP, HTTPS, WebDAV, Tuxbox, MythTV, HTS, HDHomeRun, ReplayTV). It can be very practical when user wants to share multimedia files stored on his home NAS server. Recently bought one of these from Pulsat with 1TB HDD installed. Great box, twin tuner, absolutely love it. Click the button below to add the AB IPBox Prismcube Ruby to your wish list.